So we're in the US again, following the conference trail from Orlando to San Francisco to Atlanta to San Mateo to Laguna Beach to Santa Clara. Between the end of BlackBerry World in Orlando and the start of Google IO in San Francisco we had a free weekend, so we rented a car, and headed off west, to a couple of favourite places on the Gulf Coast keys, Pass-a-Grille and Anna Maria Island, stopping off at Fort deSoto in between. As always the islands were ideal places for photography, especially of birds and sunsets. 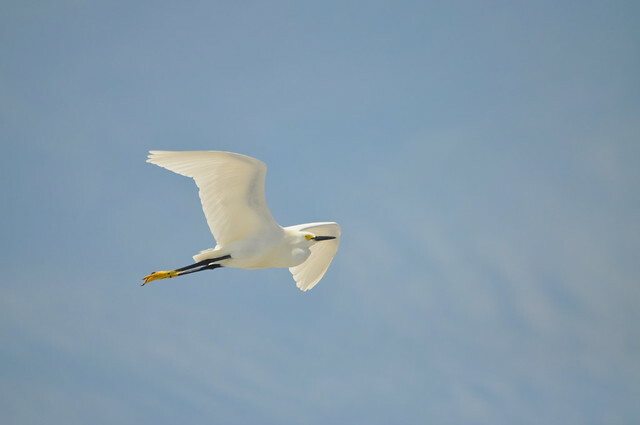 Here's one I'm especially happy with, taken at on the beach at Fort deSoto, of a snowy egret in flight. Such a beautiful bird. 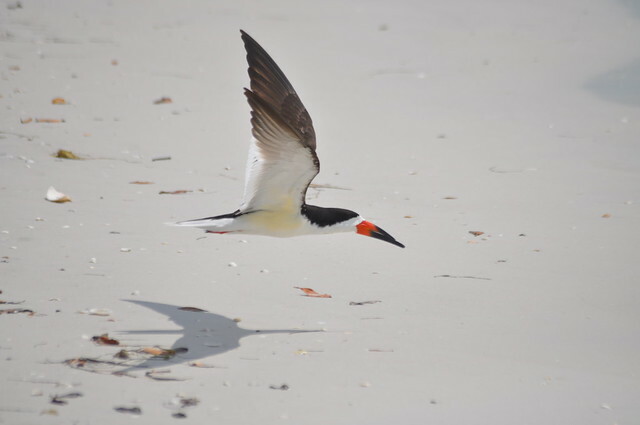 Oh, and have a bonus shot of my favourite sea bird, the black skimmer, err, skimming the sand. Well captured! Love the shadow. Looks like a design for a new Fighter Jet! While you're in Atlanta, may I recommend Mary Mac's Tea Room: traditional Southern cooking with flair. Love the skimmer and its shadow!